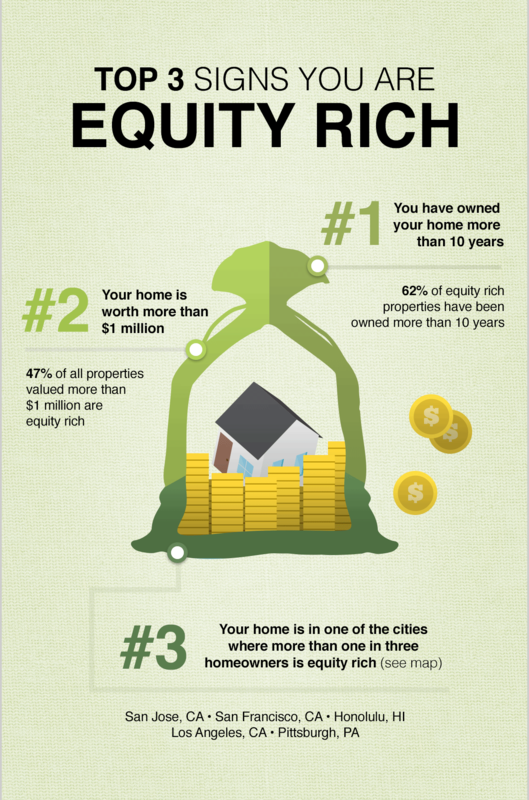 At the end of 2014, 34.6 percent of all homes were equity rich. 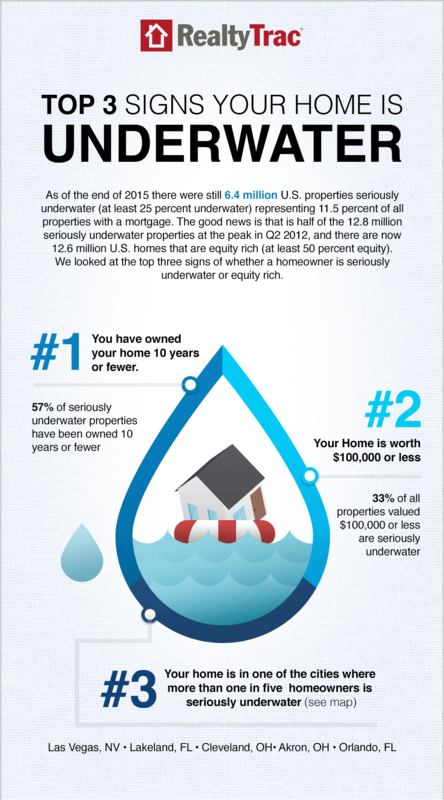 In Houston, 5.6 percent of foreclosed homes are seriously underwater, which is about 70,130 in the Houston-The Woodlands-Sugar Land MSA. 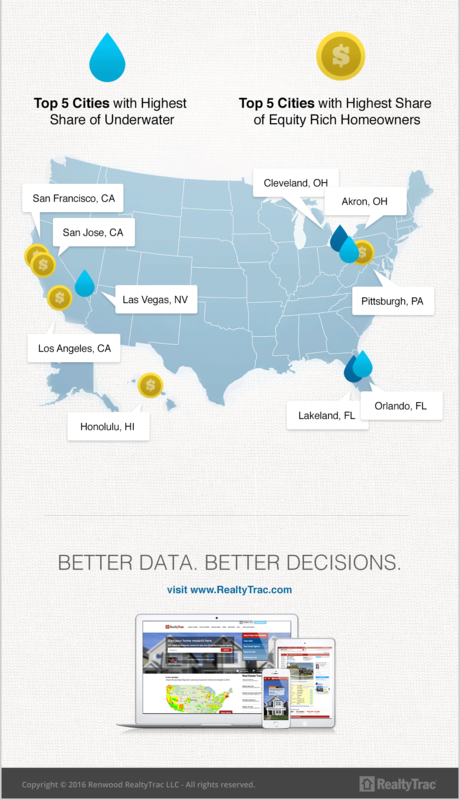 RealtyTrac reported 306,476 foreclosures that are equity rich, or 24.4 percent. In Harris County, RealtyTrac reported of the 1,616,961 properties, about 6 percent are seriously underwater. On a state-wide basis, Texas had 21.6 percent of homes with equity and 6.4 percent of foreclosures are seriously underwater.